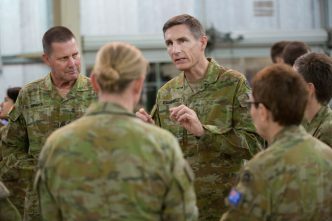 The government has made two big decisions by appointing Angus Campbell as the next Chief of the Australian Defence Force (CDF) and David Johnston as vice chief. In the case of Angus Campbell, ministers have done something very unusual—they’ve taken risk. In David Johnston, they’ve shown a clear appreciation of a core reason that Defence exists—to be able to conduct successful military operations when government directs it to do so. His appointment reinforces the connection between operations and the huge future investment program he’ll head as vice chief. This is a big advantage, as operations have demonstrated the need for rapid solutions to new problems—like the need to defeat simple commercial drones that Daesh adapted to carry and drop munitions in Iraq and Syria. Outgoing vice chief Ray Griggs has established the new Investment Committee. 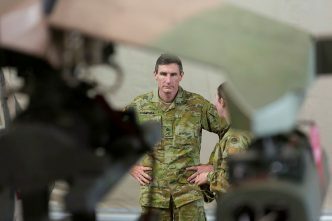 The kind of urgency and insight David Johnston will bring now can help drive and focus the detailed planning and development activities that result in multi-billion–dollar contracts and new systems for Defence. It might help shift Defence from the default setting of just buying the next generation of the current platform—whether a ship, tank, aircraft or submarine. So, what’s the risk in appointing Angus Campbell as CDF? As the first commander of Operation Sovereign Borders (OSB), hasn’t he shown his ability to deliver critical outcomes for ministers and to do so in a way that manages highly sensitive public issues? Hasn’t he also demonstrated political astuteness in that role and as Chief of Army—notably in how he’s advanced the modernisation of the Army’s vehicle program while incorporating Minister Christopher Pyne’s direction about maximising Australian industry involvement? Isn’t he a CDF with unusually diverse experience, not just running the interagency OSB, but also having left the military to serve as a senior public servant under then PMs Kevin Rudd and Julia Gillard as the first deputy national security adviser in the prime minister’s department? Yes, yes and yes. And that’s why it’s a fabulous appointment and an appointment that engages with risk. 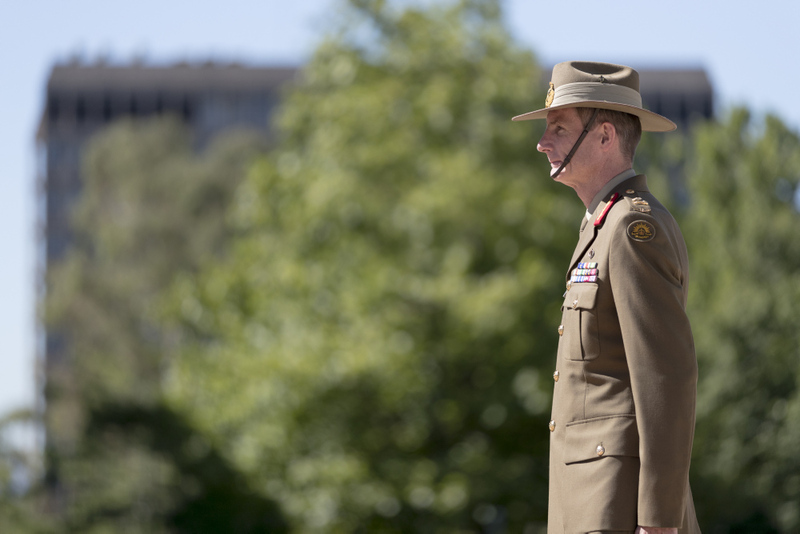 Because of his experience and his character, Angus Campbell is a thoughtful, insightful, intellectual CDF who sees the need for the Defence organisation to adapt to the new strategic and technological environment in which it will serve the government of the day. As head of OSB, as a deputy in the prime minister’s department and even as Chief of Army, he’s had more constraints on him than he will have now as CDF. The hope that ministers and the 70,000 people in the Defence organisation should have is that Angus Campbell uses his intellect, his power, and his access to ministers and to the prime minister to do what he knows is necessary. We must also hope that he understands the need to avoid the tyranny of events that eats a senior leader’s time. The last change-leading intellectual with wide respect who was appointed CDF was John Baker (1995–1998). That worked out extremely well, with Baker creating the new focus for operations that’s now the very successful Joint Operations Command. 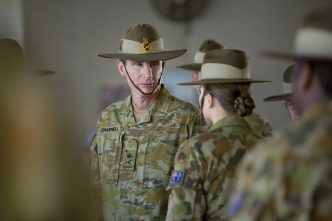 JOC produced David Johnston and oversees the complex, high-tempo operational environment that the ADF is engaged in—from maritime and aerial surveillance across Australia’s exclusive economic zone, up into Southeast and North Asia, to international peacekeeping in Africa and the Middle East, right through to the high-visibility deployments in Afghanistan, Iraq and Syria. 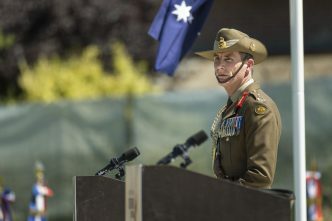 Angus Campbell becomes CDF at a time when Australia’s strategic environment is deteriorating more rapidly than the recent 2016 Defence White Paper expected, with assertive major powers like Russia and China using their military and intelligence agencies very actively and with the US economically strong but strategically unpredictable. He understands that rapid technological change—including the emerging applications of artificial intelligence, machine learning, autonomy and data analytics to military systems and operations—must affect the directions and tempo of Defence’s investment plans and the way the fused civil–military Defence organisation looks and functions. Based on his experience in OSB and, more importantly, in the prime minister’s department, he’s very well placed to understand and engage with the enormous bureaucratic and operational apparatus that is the newly forming Home Affairs portfolio. He’ll no doubt draw on his Special Forces skills in some of the Canberra beltway arm-wrestling. Angus Campbell will combine well with the Secretary of the Department of Defence, Greg Moriarty, as his co-leader in the Defence organisation. Moriarty is a clear-thinking leader strong on policy development and implementation, who has deep networks across Canberra’s political and public service leadership. He’s still new as co-leader of the diverse Defence organisation and this is his first job running a very large organisation with a budget of billions of dollars annually. Secretary Moriarty’s focus is on the next steps in reform in Defence to ensure that the First Principles Review momentum continues. This means the new CDF and the secretary of the department have complementary strengths and experience, and are both capable of making the unique Defence ‘diarchy’ work well. Again, the John Baker–Tony Ayers (Secretary of the Department of Defence from 1988 to 1998) combination is probably the last time we saw such a promising partnership combination, when the then-secretary and CDF were equally strong and pursuing a common agenda. In a farewell note, destined to be leaked, a departing vice chief of the Defence force, Des Mueller, described Defence as being like a large, slow-moving elephant. Changing it, he observed, required leaders to continually prod and encourage it, otherwise it would simply sit down. Angus Campbell is the right choice if the government does indeed want Defence to change. The only questions are whether, like the joke about the psychologist and the light bulb, the light bulb wants to change, and whether the ministers who have appointed him are willing to engage with the risks that those changes will bring. An agenda around Australia’s deteriorating strategic environment, the implications of technological change, and engagement to shape and influence the emerging Home Affairs portfolio ensures that the next three years will be eventful. 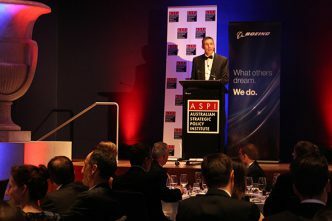 Michael Shoebridge is director of the defence and strategy program at ASPI. Image courtesy of Department of Defence.